Super Smash Bros. series creator Masahiro Sakurai recently explained what the Smash Bros. logo means, the same logo that players have seen in every game in the series from the original release to the new Super Smash Bros. Ultimate. The video above that was shared to one of Nintendo’s YouTube pages featured Sakurai as he played and talked about the newest Super Smash Bros. game. At one point, he spoke about the intent behind the Smash Bros. logo’s design. A Twitter user by the name of Kyle McLain (@FarmboyinJapan) shared a translation of Sakurai’s comments to reveal what the meaning of the series’ logo is. 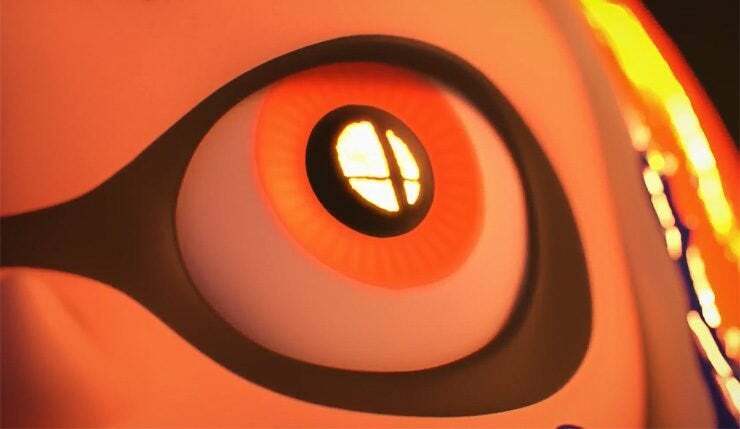 McLain said Sakurai explained that the Smash logo with its intersecting lines represents the many characters and games that have crossed over in the series as well as a focus on multiplayer, something that’s been a core part of Super Smash Bros. since the beginning. Super Smash Bros.’ logo is one that people would certainly consider iconic by now seeing how it’s instantly recognizable when it comes to the series and has persisted throughout the games. Super Smash Bros. Ultimate put a fiery spin on the logo in the game’s promotions leading up to the December release, but the logo is usually depicted with a simple black and white color scheme. It’s a simple creation, but as Sakurai explained, there’s a bit more to it than people would at first expect. The crossover nature of the Super Smash Bros. series and the logo itself is more evident than ever in the new game considering how many characters there are in Super Smash Bros. Ultimate. Sakurai’s newest game consists of 74 different fighters from different series with more planned to be released through DLC, some of them being new characters far outside of the original Nintendo-only roster released many years ago. Simon and Richter from the Castlevania series are two examples of new characters in the latest game, and the character named Joker from Persona 5 is the newest and perhaps most unexpected fighter to be revealed for the game with his release coming as a DLC character. Super Smash Bros. Ultimate is now available for the Nintendo Switch, and you can read our review here.